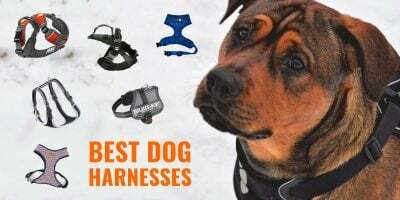 The Best Dog Fans — Cool, Sturdy, Bladeless & Not Overpriced! How To Choose The Best Dog Fan? Hot days are here and our dogs are overheating… Let the best dog fans help you! If you didn't know, dogs are not able to sweat so it is very difficult for them to get rid of excess heat. How do dogs cool themselves down then? Because dogs can't get rid of their internal warmth, they need an external cold element to help them reduce their body temperature. First off, dogs start by panting to inhale cooler air but it hardly reaches their entire body. So if they can, dogs will drink freshly chilled water to helps them cool down. Then, dogs will go roll or lay down on a cooler surface like grass in the shade or tiles at home. The best solution for hot days, especially in the summer, is to offer your dog cold air through a dog fan that is safe to use around dogs. Never use a table or floor fan because blades could end up hurting them badly. Instead, use a bladeless fan like the Dyson Air Multiplier or a dog-friendly tower fan like the Lasko Wind Curve. Let's see what makes a good fan for dogs and also give you the top 3 dog fans currently available! You may also want to check out the best dog pools! If you think you can solve this warm weather issue with a table or floor fan, you are wrong. The reason why you should not use table fans for your dogs is simple: bladed table fans are dangerous. Very unstable, they can be tilted over by the tiniest dog out there. The blades can hurt your dog even when there is a fine safety grid all around. If your dog's hair gets in contact with rotating blades, you may regret that decision for your entire life. 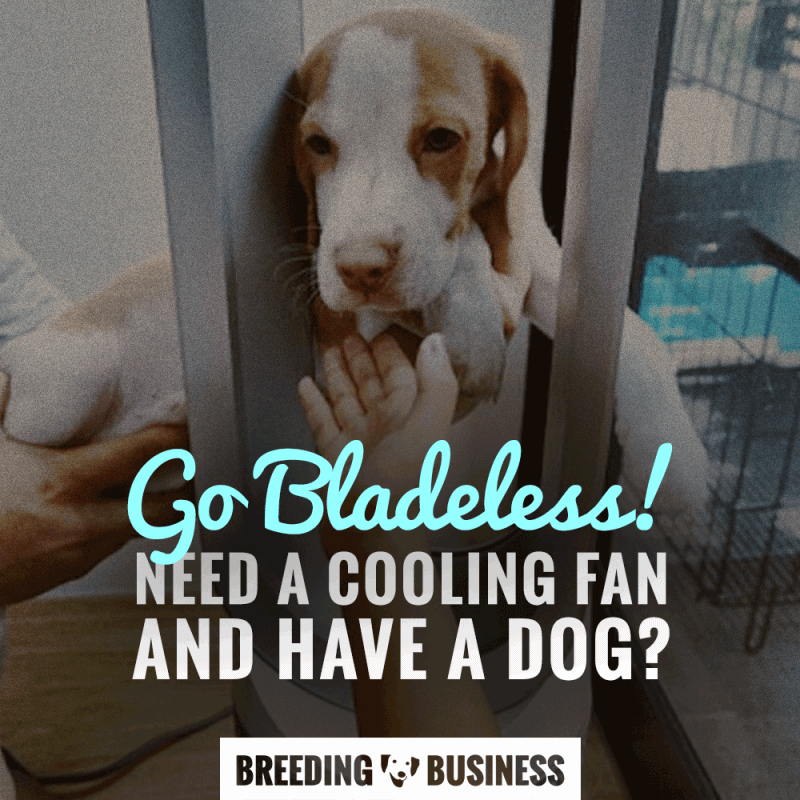 The only situation you would pick a bladed fan over a bladeless fan is if you keep your dog in a crate or kennel and place the fan outside. So if table and floor fans aren't going to cut it; what should I get to use as a dog fan? Bladeless fans are much safer for your dog. Avoid regular fans if you can afford it! Blades are too dangerous for dogs, especially if they have a long coat or if you have a pooch with curious tendencies. 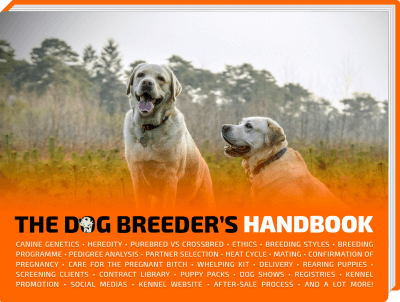 So your number one criteria should be a dog fan that is bladeless. They are sometimes called air multipliers and do work differently. Obviously, you can find bladeless fans that are either tower, table or floor fans. I would suggest that this is a matter of preferences and a case-by-case decision. If you have a very large dog, you may want a low fan that won't tilt over easily. A tower fan will do just fine for most dogs so if in doubt go for a tower dog fan. Another important point when choosing a fan for your dog is to get the best compromise between quietness and blowing power. Indeed, you want to make sure the fan blows enough cold air continuously but you also want to keep the room quiet. 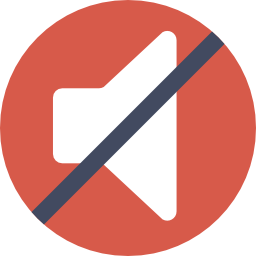 Most fans under $100 will work just fine for a couple of months and then start becoming noisier and noisier by the week. 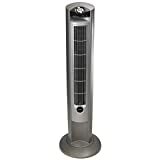 Bladeless fans are quieter generally since the technology allows for noise-reducing technology. Plus, bladeless fans usually cost a lot more, so they are a lot more refined and polished. They do tend to look much better than other regular fans. Dyson is the brand producing the most amazing fans out there but they come with a price tag that may scare some of our readers. Around $400 for a bladeless tower fan, or $250 for a table fan. Now let's review the two best dog fans currently available. Lasko is a quality manufacturer of value fans. They aren't the quietest, most ergonomic or best looking but they do the job. Despite some shortcomings, the Lasko Wind Curve Tower Fan has a lot going for itself, including a timer if you want a temporary cool airflow for your dog. Very quiet for the price you pay, this tower fan won't wake your dog up every time you turn it on. 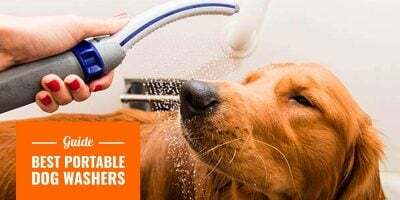 In addition to the peace it allows, the Wind Curve offers three settings from a low to a high-velocity blow to make sure you are saving electricity use and not overcooling your dog. Obviously, cooling should not result in your dog getting sick. The 90-degree rotation can be the most annoying feature for this fan. If you want to use it for yourself or to cool a larger area, you will be limited by such a small angle. If you want to target a specific area, like your dog's crate, then it will be more than enough. Look-wise, the picture may give it more credit than it deserves. It is a decent-looking tower fan but mainly made from plastic which gives it a cheapish look and feel. 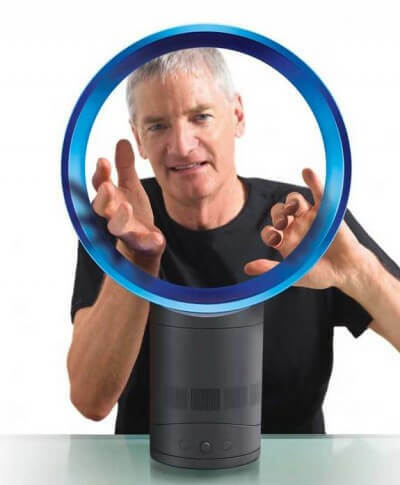 To this date, Dyson is perhaps the most famous and innovative British brand. Their products are wanted all over the world and the United States is obviously their main market. We love their unique, elegant yet practical products. Safety is the major plus with bladeless fans so if your puppy puts his nose into the fan, you don't have to worry about any injury. The Air Multiplier AM07 Tower Fan is a completely bladeless fan making it safe for use in a household with children and pets. Because the Dyson Air Multiplier Tower Fan is bladeless, it is extremely quiet. By quiet I mean much quieter than your average quiet fan. On the lower speed settings, it is actually silent. The big plus with Dyson products is that they are thought and conceived putting both usage and design at the forefront of the priorities list. Owning a Dyson fan is like a privilege, it looks amazingly beautiful in any home and works extremely well. Conclusion, it is a must-have if you have the budget for it! Dyson fans are bladeless, safe and beautiful. Owning one is a privilege. There is no dog fan that is built just for pets. 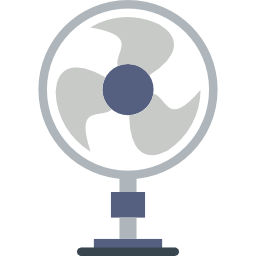 Instead, you've got to navigate through all the fans currently available and pick the safest fan for your four-legged friend. Unquestionably, bladeless fans should be your top choice, but they do cost more. It's mainly a decision that has to do with your budget, the Dyson if you can afford it is by far your best pick, be it as a dog fan, or even just for your home.